Today I am tooting my own horn because I have reason to be proud. 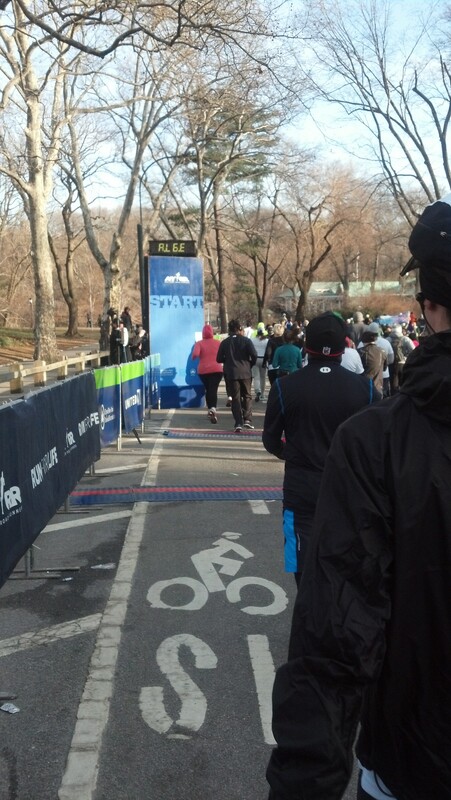 A week ago, I ran in the NYC Half Marathon and finished it!! One might not think my time is that impressive at 3 hours 40 minutes, but for a rookie runner in her 40’s, I am well pleased. 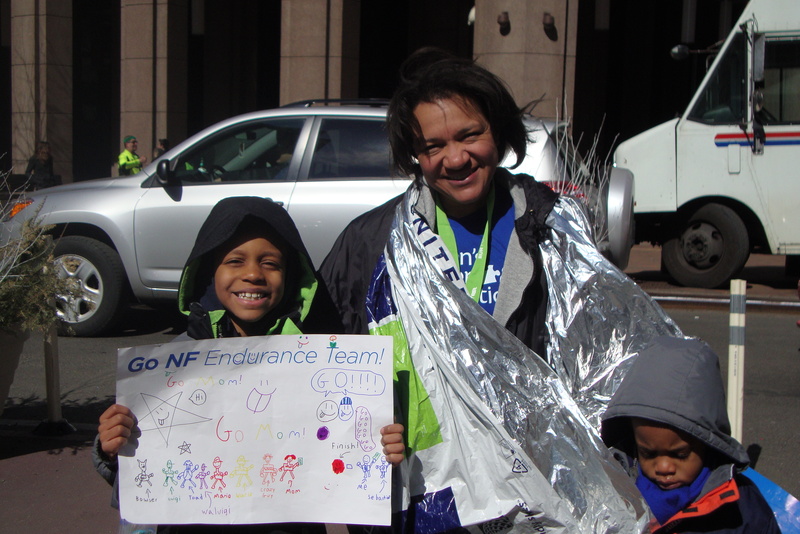 I was in training for a full marathon when I found myself pregnant with my first son. At 17 miles in my training, I had to stop. My son is now 8 years old and I have done very little if any running in the years since his birth. So starting to train for this Half Marathon in January was like starting anew, like I had never run before. At first, I could barely keep moving for 30 minutes. Slowly, with regular practice, I built myself up to being able to run for longer periods and longer distances. And my last long training run, a week before the actual race, was 10 miles and I walked most of it. Arriving at the start line on the day of the race, I was texting my friend about how I so wanted to chicken out. But how could I do so at this point. How would I explain giving up to my children? No, I had to do it. I did not run the whole way, I had to walk up the steep slopes, against the strong cold wind along one part of the race and every time I felt I was getting too out of breath, but I told myself that the key was not to stop, no matter what. Just keep moving. And so I did. And I finished the race. And was able to proudly show my children who welcomed me at the finish line, how hard work and persistence pays off. It was a wonderful experience and I am hooked. I loved running outside to train; I enjoyed the challenge of running for a certain distance or time on the treadmill when the weather did not permit running outside; I enjoyed the way it made me feel; I love what it did to my body – losing fat and building muscle; and on race day, it was so exhilarating running down the actual city streets that had been closed to traffic to permit this crowd of every kind of person to run their own race and beat themselves. It was AWESOME! There is no doubt that I will continue running and that I will run in more half marathons as I work at beating my time. This experience taught me a lot too as an entrepreneur. Points which I will always remind myself of as I go forward in my business. 2) you must remain consistent. Do a little every day. It all adds up. 3) there WILL be obstacles. difficulties. Naysayers. Your own negative self talk. All that and more. IGNORE them! Just keep going. 5) Smile! and just don’t stop! You WILL finish the race – your will make those sales – you WILL succeed. And when you do, then it’s just a matter of getting better. But the point is…you WILL get there!! BONUS POINT 6) have a purpose other than a selfish desire to succeed. 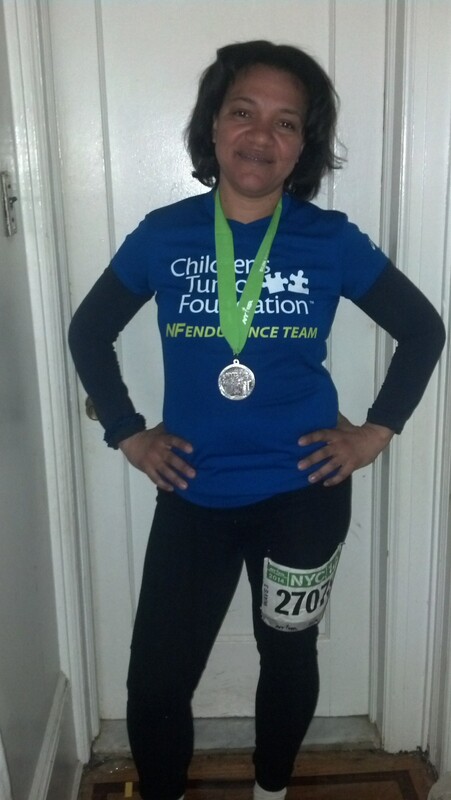 I ran my race for the Children’s Tumor Foundation. I raised money from friends and family for the cause. Every time I wanted to quit, I remembered that there were some children depending on me and that some people believed in me enough to contribute. And when I pushed through and I made it, it felt good to know that I had not only succeeded for me, but for everyone that contributed and every child that would benefit from the contribution. Being able to appreciate your own business in this same way, knowing that you are doing good for someone else….makes it all worth it. And you will love getting up in the morning to face another wonderful and purposeful day! This entry was posted in Uncategorized on March 25, 2014 by The Woman Hood.